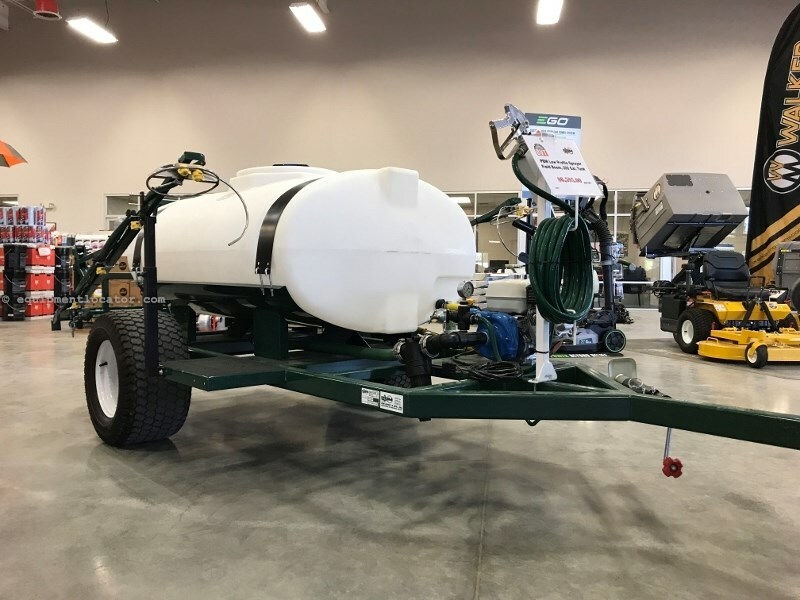 The 200-gallon elliptical tank keeps a low profile in this highly maneuverable orchard sprayer. Adjustable field boom covers row spacing from 12' to 20'. The field boom design utilizes shock absorbs, rather than chains, to support the boom. No chains to get caught on lower branches! This sprayer also has a protective stainless steel nozzle guards on the ends to protect the nozzles from collisions. The centrifugal pump accomplishes multiple objectives. While it pressurizes the boom nozzles, it also keeps a strong flow of water constantly agitating the tank to keep your chemicals mixed and to prevent settling.